Avalon Time was a comedy variety show sponsored by Avalon Cigarettes and broadcast shortly from 1938 to 1940 on NBC. 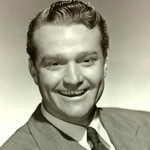 The cast included Del King, Red Foley, Kitty O'Neil, and Red Skelton who began doing his first comic routines on the show. Before Skelton joined the cast, the show was mainly a vehicle for popular songs and western music.